Taking a seat by the participant. Taking a seat by the chairperson. Taking a seat by the chief guest. Taking a seat by the guest. Discussion on the issue of the seminar. Presentation on the issue of the matter. On the whole, a seminar involves participations of the experts through which problems are identified and conclusions are drawn. An organization has to make different types of decisions. Such decisions are made in the meeting. Decisions taken in the meeting are useful to the organization for future reference. Such decisions should be recorded in a book. A seminar refers to the gathering of the experts, specialist, academicians and professional on a particular subject or is to share opinions and make discussions.The minute is the evidence about the decisions of the meeting. It provides a guideline and directs the management and employees to perform the official activities in an efficient manner. The resolutions passed in the meeting become rules and regulations of the organization. For the proper and systematic recording of different types of decisions taken in the meeting, a separate book is maintained which is known as a minute book. Minute helps the management for preparing the plans and policies and implementing them into practice. It acts an aid to the memory of the decision drawn in the meeting in the past. It provides information to the concerned authority about past activities and decisions. It gives guideline and direction to the management and employees for the efficient operation of the organization. It helps the management for settling misunderstandings and disputes that may arise in the future. Minute should record the type of meeting, its date, time, and place. It should be written simply and clearly so that everyone easily understands it. The name of the chairperson and other members presented in the meeting should be written clearly in order of their rank and position. Minute should be written in the past tense in the third person. It should be divided into different paragraphs and each paragraph should deal with a separate subject. It should be written according to the sequence of items of the agenda. The page number of the minute book should be numbered. Minute should be signed by the chairperson and all the presented members on the bottom of the first page and top and bottom of the remaining pages. The members secretary should draft the decisions of the meeting in a minute book. Such decisions should be approved by every member presented in the meeting. It becomes valid and authentic only when all the presented members in the meeting grant their approvals by singing on it. The act of confirming the decisions made in the meeting by obtaining the signatures of all the members in the minute book is called endorsement of the minute. Endorsement is necessary for the validity of the minuting. Generally, the signature of the members is made on the same day, but, sometimes, if the decisions are too long and it is not possible to draft the minutes on the same day, the decisions should be written in a rough paper with the authorized signature of the presented members in the meeting secretary. A copy of such decisions is sent to each member presented in the meeting asking them to give their approval within 24 to 36 hours. Any member can oppose the decisions within the prescribed time. If no opposition is made by all the members within the specified time, it said to be endorsed. After being approved by all the members, it is drafted fairly by the member secretary and the signature is made in the forthcoming meeting. A seminar refers to the gathering of the experts, specialist, academicians and professional on a particular subject or to share opinions and make discussions. The act of writing the decisions in a minute book drawn from the meeting is known as drafting a minute. The act of confirming the decisions made in the meeting by obtaining the signatures of all the members in the minute book is called endorsement of the minute. State the importances of seminar. It gives guideline and direction to the management and employees for efficient operation of the organization. Write down the basic guidelines while drafting a minute. Minute should record the type of meeting, its date, time and place. It should be written simply and clearly so that every one easily understands it. Write in short about endorsement of a minute. The members secretary should draft the decisions of the meeting in a minute book. Such decisions should be approved by every member presented members in the meeting. It becomes valid and authentic only when all the presented members in the meeting grant their approvals by singing on it. The act of confirming the decisions made in the meeting by obtaining the signatures of all the members in the minute book is called endorsement of the minute. Endorsement is necessary for the validity of the minuting. Generally, the signature of the members is made on the same day, but, sometimes, if the decisions are too long and it is not possible to draft the minutes on the same day, the decisions should be written in a rough paper with the authorized signature of the presented members in the meeting secretary. A copy of such decisions is sent to each member presented in the meeting asking them to give their approval within 24 to 36 hours. Any member can oppose the decisions within the prescribed time. If no opposition is made by all the members within the specified time, it said to be endorsed. After being approved by all the members, it is drafted fairly by the member secretary and the signature is made in the forthcoming meeting. From where the seminar word is derived? 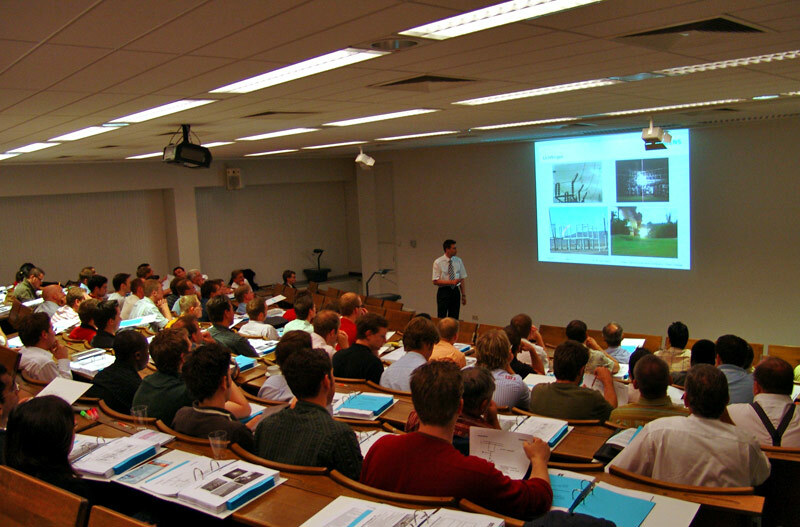 What are the types of seminar? Any Questions on 'Seminar '?